Roti canai (a.k.a. 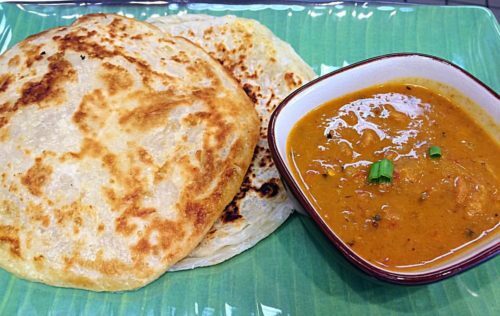 “flying bread” or “roti prata” in Singapore) is a popular Malaysian flatbread served warm and has a crispy, yet chewy texture. It is typically served with a savory curry dipping sauce. Variations include either savory ingredients (e.g. eggs, sardines and onions) or sweet ingredients (e.g. bananas, condensed milk, peanut butter, jam and nutella). Where can I get it? 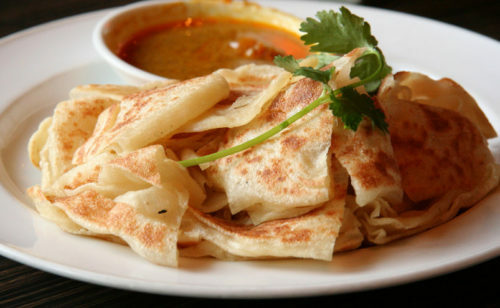 Roti canai can often be found in Malaysian or Thai restaurants. Here are a handful of spots that serve this satisfyingly flaky pancake-like bread. 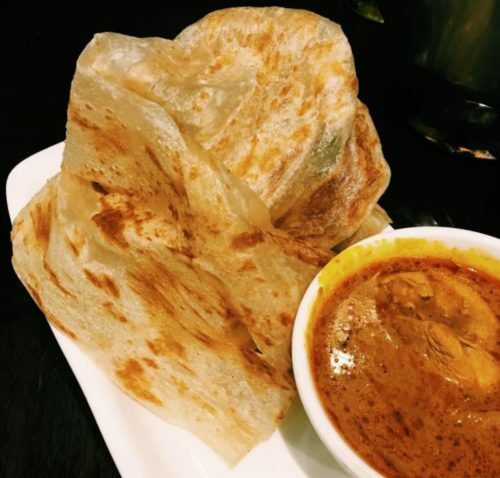 Looking for more places that serve roti canai? You can find them on Glutto right here. How can I make it? 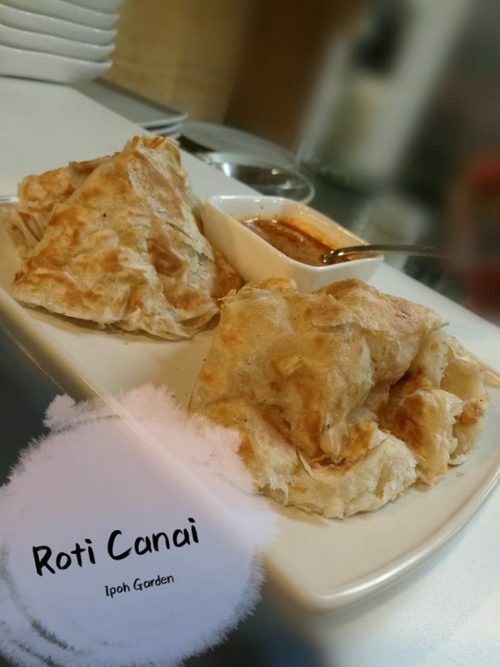 Roti canai only takes a few ingredients to make. However, it does take a bit of skill (and time) to make it properly. Follow this authentic recipe for the best results. First, combine the salt with water and mix well. Put the flour in a bowl and slowly pour in the salt and water mix. Mix until it becomes a dough and knead to a smooth texture (not tacky). Rub hands with vegetable oil (to prevent sticking) and shape the dough into baseball-sized balls. Then, in a large bowl add vegetable oil and carefully place the balls so they are coated with the oil. Cover with a plastic wrap and leave over night. Remove the oil-coated balls one at a time and flatten on an oiled surface to a plate-sized shape. 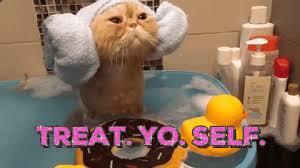 Then, flip it like this. On a greased pan, cook the roti canai until golden brown. Serve with curry and enjoy!